As in “on fire,” and James Harden is certainly that for the Houston Rockets. Indeed, the six-time All-Star and defending NBA MVP is making a strong case for a repeat. As of early January, the 29-year-old point guard was in the midst of a historic scoring spree that saw him put up per-game averages of 39.1 points, 9.1 assists and 6.2 rebounds, to go with a 40.4 percent shooting percentage from three-point range over 15 games. And the Rockets have certainly taken advantage of Harden’s tear, going 12-3 from Dec. 8 to Jan. 7, thus vaulting what was a previously struggling team back into the playoff conversation in the Western Conference and to the top spot in the Southwest Division. 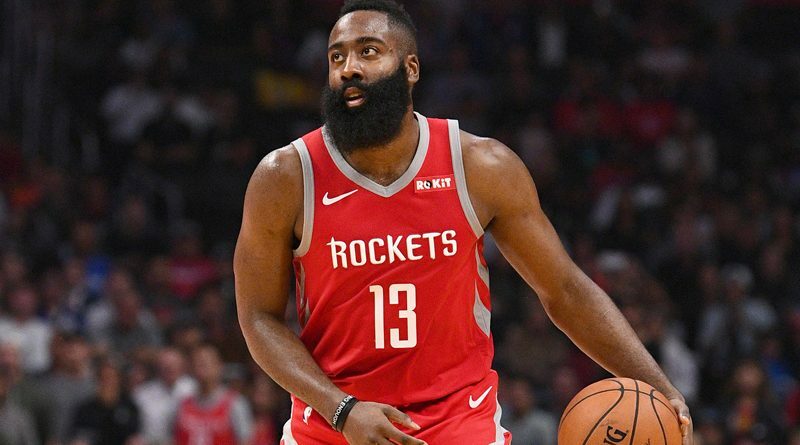 So dominant, in fact, has the man dubbed “The Beard” been this season – he’s averaged 33.7 points, 8.7 assists and 5.9 rebounds in 2018-19 – that his scoring prowess has been compared to that of NBA legends such as Michael Jordan, Kareem Abdul-Jabbar and Wilt Chamberlain. Harden and the Rockets face a tough conference rival Saturday, Feb. 9, when they play host to the Oklahoma City Thunder in a game airing on ABC. Full name: James Edward Harden Jr. Honors and achievements: 2018 NBA MVP; six-time NBA All-Star; four-time All-NBA First Team; 2018 NBA scoring champion; 2017 NBA assists leader; 2012 NBA Sixth Man of the Year; 2009 Pac-10 Player of the Year; his number 13 jersey was retired by Arizona St.